A journey of a best-seller begins with a single word — write novel, fiction, personal journal and diary, e-books for the next best-seller. Welcome to the world of writing! You have come to the right place! Read on and see how! Whether you are an award-winning author, a ghost writer, or a wannabe author, whether you are into fiction or non-fiction, social commentary or travelogue, docudrama or melodrama, you have come to the right place for churning out your next best seller! This writers' software shall help you achieve your dreams. If you pen television serials, sitcoms, movies, scripts, theater plots; then your dream of spell-binding your readers, audiences, & viewers and finally the box-offices & cash-registers of the world - shall be achieved on this site! This script writer's software shall get them to flock to your shows. Read on to discover how! If you want to work on a complex project report with tasks & sub-tasks, chapters and sub-chapters, this is the right place where you can produce a report that shall be the envy of your colleagues! This report writing software shall help you do it. Find out how! If you are looking to maintain a diary - or a personal journal - which lovingly puts together all the treasured moments of your life - the sights, the sounds, the highs and the lows - this is just the place where you can do it. 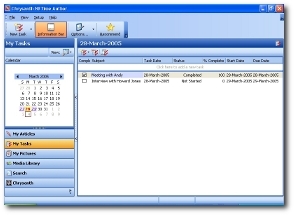 This diary or journal writing software shall help you out. Excited? Just hold on! If you want to write that all important thesis or dissertation where you want to organize your thoughts in the most coherent manner, and make your presentation all the more powerful; your ambitions and aspirations shall be realized here. 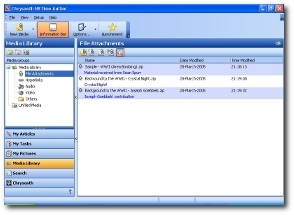 This dissertation writing software shall help you realize them. LADIES AND GENTLEMEN! 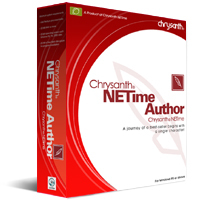 WE PROUDLY PRESENT - Chrysanth NETime Author. Gone are those days - when your days were spent in banging the keyboards of rickety typewriters. Gone, too, are the days when you simply keyed in pages upon pages of your content in your favorite word-processor, without any assistance in the direction that your content was taking. After having written your piece, the most exasperating part is having to scrap whole paragraphs from one chapter or section, or worse still, copy & paste or cut & paste across chapters, and discovering that the end result is more chaotic than the original!!! All, because there was - up until now - just no way you could have channelized those creative juices into the disciplined straitjacket of organized chapters and neat, logical flow. 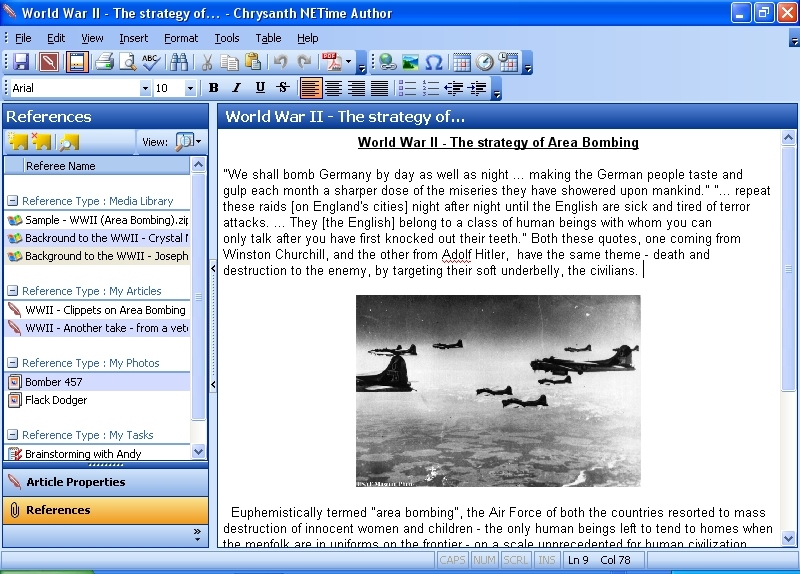 A WYSIWYG editor with spell checker, plus the ability to add important references to other idea-inspiring materials. Those days are now over! This software for writers takes on multiple avatars - it transforms into a thesis aid software, a report writing software, a literary work software, a research paper software, a project report software, a diary software, a novel writing software, a fiction writing software... whew! You name it - and Chrysanth NETime Author is what you want it to be! 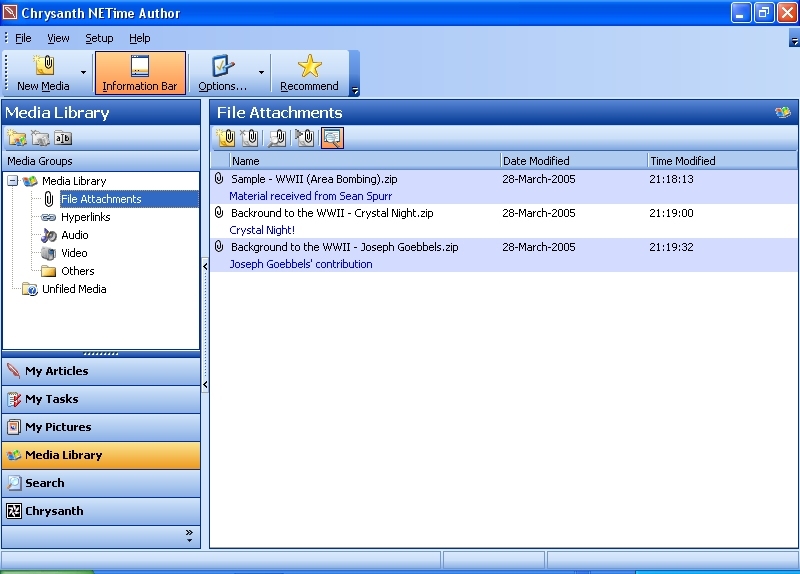 This book authoring software is actually a professional writing and thought organizer that helps you to increase your productivity and complete your writing tasks in time. The software does its job in such an intuitive way as to not come in the way of your creative thought processes. Instead, you will marvel at how its nifty little features actually make your task so much easier! When writing any serious piece - even works involving humor! - it is very important to organize your flow of thoughts in a coherent manner. When the brilliant idea strikes, the mind can only direct the fingers to nimbly tap on the keyboard. It is only later that cold logic takes over. Which idea, or which sub-plot, has to come where? How should the chain of thoughts be stringed together, so as to logically or emotionally appeal to the reader and have the maximum impact? 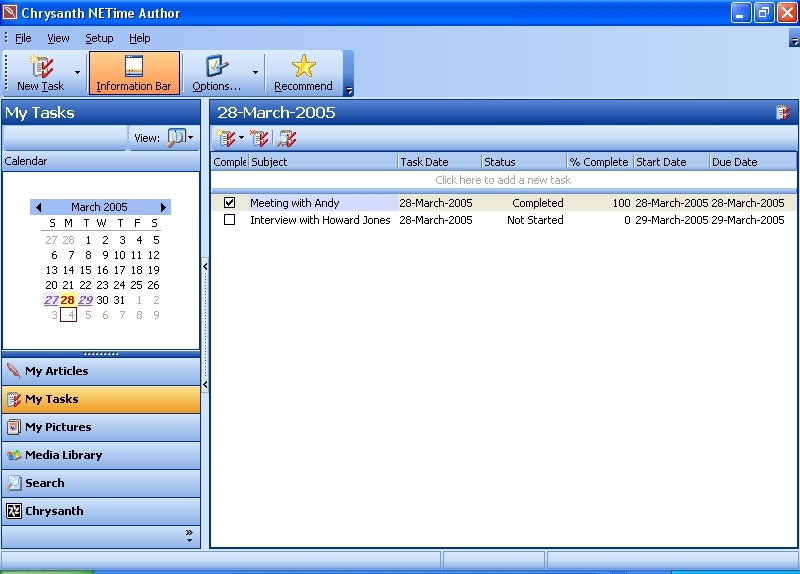 A Task Manager to help you organize your thoughts and various writing projects. This very able writer's software acts as an able assistant, hovering in the background, giving you the ability to "play" with your thoughts the way you like. Then, like a painter, you can paint your canvas; then take a step back, view your creation; again go in and make changes where necessary; and continue this process till your masterpiece is ready! Not only does this software for writers help you to weave your magic with your words, it also assists you in bringing the latest in web and technology to your work! As we all know, having a soft-copy work on computer, or, better still, on the web, is a better deal than a hard-copy version anytime. You can enthrall your reader with not only your words and thoughts, but you can enliven their experience with colors, fonts, pictures, illustrations and animations, voice and video, links within one page to further HTML pages, ... the list is endless. Keep all your important idea-inspiring stuff in a powerful Media Library. As your work progresses, you may also wish to publish your first e-Book by generating your content into Adobe PDF e-Book - it takes just a click of the mouse to do that! There are those moments in our life that we wish to capture for posterity. Earlier, we only had the camera. Now we have the webcam, the microphone, and of course, our thoughts that we pen down in the word-processor. 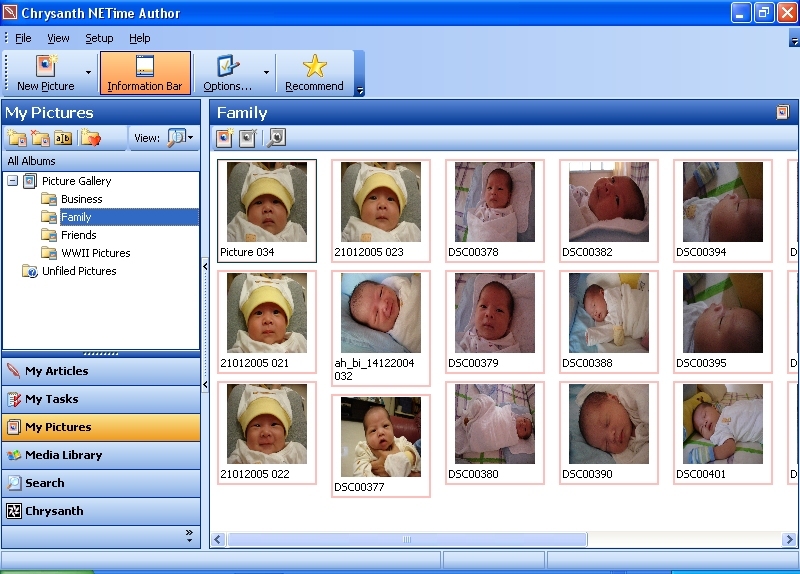 This journal writing software gives you the versatility to record those memorable moments in a very well-organized manner, hour-by-hour, day-after-day. So, if you happen to be traveling to some exotic locale, and have been busily taking snapshots, you can file them away on your laptop or send them to your email box to later put them away in neat little albums in Chrysanth NETime Author - for which you may use for travelogue and other writing projects, or simply for your recollections. 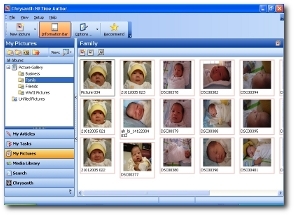 Compile all your important photos for your memory or articles. If you are interviewing people for some article, you can safely store away the sound bytes in individual folders via the powerful Media Library. And all these folders are part of your main article, which you can manage. So there is no mix-up or chaos on your hard-disk - about which sound file belongs to which article! The best part is this - all data and all information pertaining to one article, book, issue, or whatever that you are working on; are kept in a highly organized fashion by Chrysanth NETime Author. Here, you can always insert your lovely emoticons in place of your moody terms, or beautiful graphical insets to help illustrate your ideas. Try NETime Author FREE — no risk, no obligation, no questions asked! 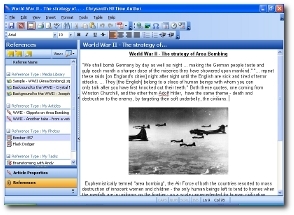 For a limited time, we're offering you a FREE, fully functioning 14-day trial of this leading writer's software. We're confident that once you experience it, you'll never want to let it go. The good news: after your trial, just $69.97 gets you the full commercial version — with a 30-day, no-questions-asked, full-money-back guarantee.